We met Raleigh Bishop Most Rev.Luis R. Zarama on March 26, 2019. Some of his Wisdom of words to us. 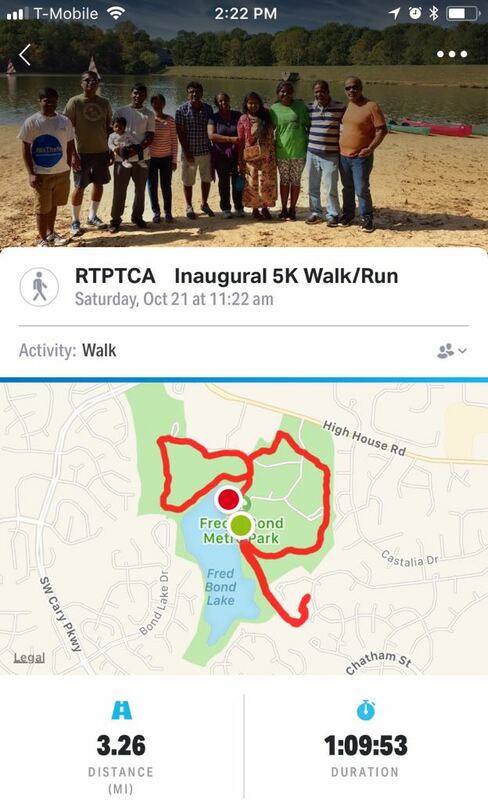 Our first 5K Walk/Run event. We are glad to announce that the RTP Tamil Catholic Association has been now registered with the Secretary of State, North Carolina. An application has also been filed to treat it as a tax exempt corporation under 501(3)(c).